Frank Cammuso’s Max Hamm is nothing short of a great series. Currently available in four volumes or as a compilation, I can’t stress how much fun these stories are. On a chance encounter of a Chicago Comicon several years back, I picked these up from Mr. Cammuso based solely on the cover. Look at the cover to the right. Doesn’t that beg to be picked up? I went back to our table and set them aside to read at a later time. One of my buddies happened to pick up my copies and began to peruse my newly purchased items. I started to hear an occasional chuckle and then laughter. It seems my chance encounter yielded good results! I asked my buddy what he thought of them and clearly stated, “Read these books. Now!” Such a forceful demand required me to take my mind off of monitoring the table to view the first volume. My command to anyone reading this is to get these books and read them. Now! 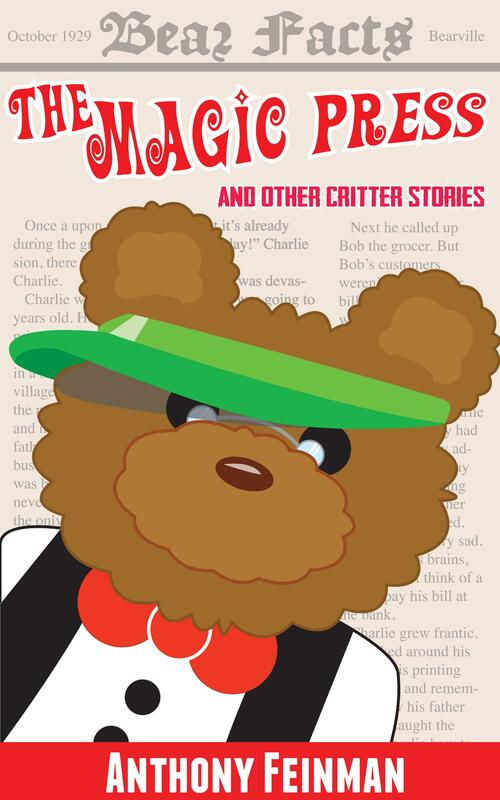 A combination of the retelling of the old nursery rhymes and comic book art done a tongue and cheek way pulls you into tales of Detective Max Hamm’s world in Storybookland. Think of it as Sam Spade solving murder mysteries with a giggle. The material is clearly designed for a young audience but appeals to fans of the 1930’s mystery genre as well as a common observer. I highly recommend these works to one and all! The first volume, The Big Sleep, is an introduction to Max Hamm and the characters that populate this world. It begins with a client, Bo Peep, hiring Hamm and his partner Humpty Dumpty to investigate the kidnapping of sheep. Dumpty ends up being murdered while following a lead. It just takes off from there with the puns and humor and does not stop. Your giggling won’t stop either. The next three volumes begin a story arch called, The Long Ever After, with each book as a chapter of the story. And with chapter titles of The Seven Deadly Sins, The Glass Slipper, and The Magic Mirror, the reader is thrown into a conspiracy of murder, mystery and betrayal with, of course, the surprise ending. Because our fans DEMANDED it! 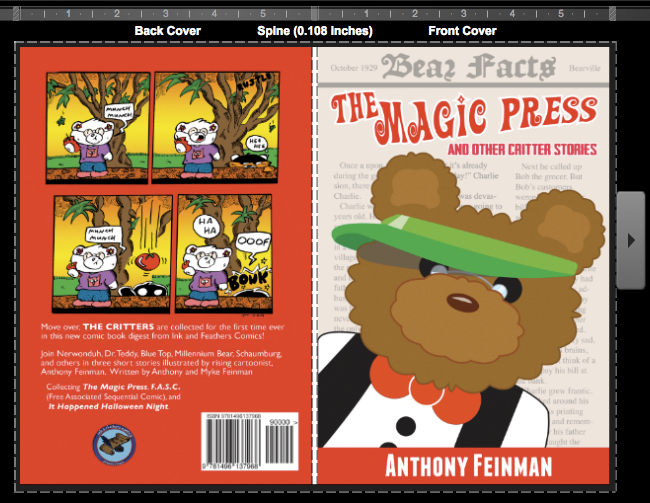 A few short weeks ago, IF Comics released Anthony and Myke’s The Magic Press and Other Critter Stories as a e-book digital download exclusively on Amazon.com. (Check it out here.) It did pretty well in sales it’s first week BUT that was not enough for our fans. They wanted a PRINT edition! It’s nice to know that there are still readers and book collectors out there that like to have their literature still tangible! So in response to Facebook fan outcry, Anthony started working on re-paginating a print edition for sale. After a couple weeks, he finally completed the task! The Magic Press is immediately available for order for $5.99 plus shipping and handling from CreateSpace.com (Click here to order.) Roughly 5-7 days from the date of this blog release, it will also be available through retail outlets such as Amazon.com as well as ANY book store retailer through special order. A few days after that, it will be available overseas in Europe through Create Space’s distribution. This “dead tree” version also sports two extra things not available in the eBook edition. One, a back over with a full colored version of one of THE CRITTERS strips done by Anthony (which can be see from the image above) and two, an extra Halloween image with Millennium Bear (Leni) telling the viewing audience that she taught the monster from the Blue Lagoon to rise out of a lake with a Halloween greeting. “A little extra treat for those that wanted a “real” book and a small thanks for your support”, comments Anthony. The print edition of The Magic Press is an 6×9, 48 paged full colored cover with black and white interiors. It is priced at $5.99 not including shipping and handling. If any fans would like to PRE-ORDER a SIGNED copy directly from Ink and Feathers Comics, CLICK THE BUTTON BELOW! The price for each copy is $5.99 and shipping is only $5.50 for 1-20 copies. That’s right! A flat shipping for single or multiple copies! As this is a new publication, expect your copy(s) to be sent out in about two weeks. We will notify your by email when they are being sent out complete with tracking information. We will also include a WHOLE bunch of SWAG at no extra cost! SWEET DEAL, HUH?! The Magic Press returns to print! Thanks to the advent of digital publishing, The Magic Press can now be seen by a larger audience. Back in 2009 while Anthony was attending SAIC (School of the Art Institute of Chicago), he put together a short little comic book for one of his class assignments. He was required to come up with some characters and then to do a short comic book story for a final assignment. As Anthony was bogged down with five other classes (all wanting a final project) he decided to cheat. Well, sort of. He had already been playing with the idea of using some of his toy stuffed animals as a starting point but he wasn’t finding the right voice for them. He still wasn’t too sure what to even call his cast of characters. (Somewhere in the past half decade, he came up with the name THE CRITTERS.) As he struggled to come up a storyline, his mind turned to stories that he remembered from his youth. He had created some fantasy stories for various grammar or high school assignment but none of them seem to fit into THIS particular assignment. Somewhere in his ideal brain, he happened to remember a story that Myke, his father, had once told him, at a young age, when he was home from school due to an illness. Myke had written down the story in a journal many years before but since decades had past, it had been long forgotten. Anthony, remembering where the story was stored, took a trip to his parent’s house and secretly scanned the pages to be transcribed at a later date. Anthony spent a few days trying to dis-cypher his father’s handwriting and finalized a working script. 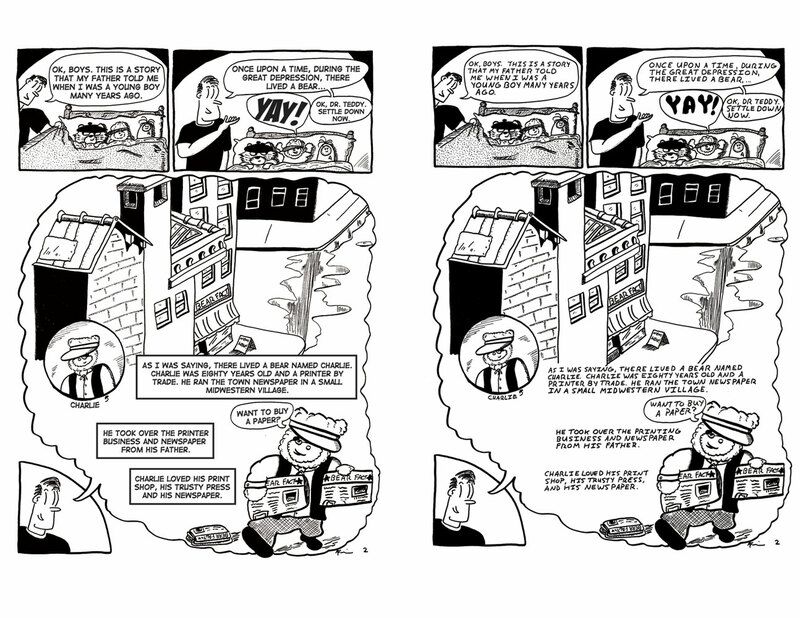 After a few weeks of illustrating, Anthony paginated a 10+ page comic book and turned into one of his final projects. Copies were spread on SAIC’s campus and one copy is now viewable in their artist’s library BUT not many outside of immediate family or SAIC’s community have ever viewed this story. Now finally after five years, this short story is made public. Another issue that Anthony feared was his lettering for the story. Anthony decided to re-do the lettering digitally for The Magic Press. It is the only story in this new volume that has digital lettering. Digital lettering version of page two verses Anthony’s original hand lettering. The gesture was no less dear when Myke finally received a copy much to his surprise. Anthony, after leaving SAIC to pursue freelance work, tried a few comic strips and did to more short stories with the cast of THE CRITTERS. They have been posted on his personal Facebook page as well as an online comic through Comic Fury.com. However, with the release of this version of The Magic Press subtitled And Other Critter Stories, they are all now collected together for the first time. Comics are a big deal these days. Everywhere we look, pop culture tees, advertisement, both print, video and digital media, are bombarding the general populace. Plus, 2013 marks the celebration of the 75th Anniversary of the best known super hero of all time, Superman. Of course, there have been other large milestones that have gone unnoticed. Characters like The Shadow and Doc Savage and other pulp heroes that spawned the current popular comic stars reached that 75th mark ages ago. But, in their own way, they were celebrated by the fans that cared. Dynamite Entertainment, just a few short years ago, obtained the rights to start printing The Shadow in comic form again which has been a huge success. So much in fact that the character has been guest starring in their other titles (Masks, Noir, The Shadow verses Grendel) and expanded the series into other ongoing books. Hence, the rights to Doc Savage were also obtained with a new series hitting comic book stores in December 2013. Sweet time for comic book fans to be introduced to the original characters! All this and more as the nerds and geeks have come to age to take over ruling the world. Businesses are jumping on the band wagon and commissioning their designers to make “comic book work” related advertising. Pop culture is very flush throughout our world. But how long with this resurgence last? In the early to mid-nineties, the comic book industry took a big hit due to distribution technicalities. We won’t go into too many details as anything dealing with the history can be easily Googled. The lapse in bad judgement actually caused Marvel (the company that owns The X-Men, Spiderman, Thor, Avengers, ect) to declare bankruptcy and needed a boost from a toy company. Small comic book stores around the county had to close their doors as the bottom began to fall out. Comic book companies soon had to deal with a monopoly of one company, Diamond, handling all the distribution. Magazine companies (Wizard) began buying up pop culture conventions and then raising the prices for vendors to sell their wares as well as fans to enter through their doors with grandiose promises of getting their favorite actors, artists, and writers to attend. A balloon that seemed to have over expanded itself was deflating. Strange how things have changed in the past two decades. Or have they? It’s hip to be square in 2013 with comics now available instantaneously via your android phone, tablet, desktop or laptop computer. Sure it seems print sales are picking up, at least according to Diamond with them now allowing comic book stores to return unsold issues. This new news is actually a good thing for small comic book shop owners who are now contending with surplus and overstock of unsold comics. What we here at IF Comics want to know is how long with this new balloon last? Will the sales still see a rise after another ten years or will the fad fade again as it has done in the past. When will the general public be bored with new television series like Agent of S.H.I.E.L.D, Constantine, Gotham Central, Arrow, Flash, ect.? When is the shiny new penny going to wear out it’s shine and become tarnished by the new schmuck who wants it all? We hope the high keeps rising but we also hope that the people behind the scenes don’t pull the wool over their fans eyes and over saturate them too much. We’re already seeing it happen and it’s happening fast. Perhaps a little too fast. All for the love of money, merchandising, and fans? 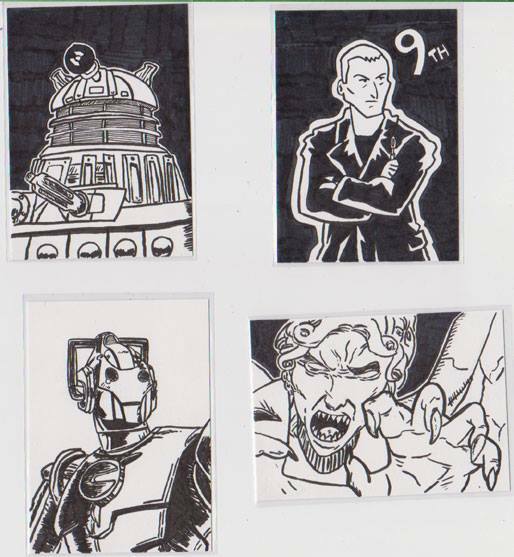 We’ll be at Collector Con on Sunday! It’s been years since we have done more than three shows in a year. However, for some reason, 2013 seems to be the year to get things started. With Anthony working on a new comic book compilation (not for IF Comics but we will be letting everyone know when it’s released. We have heard it will hopefully be published before Christmas) things may start picking up for more book signings again in the coming years. 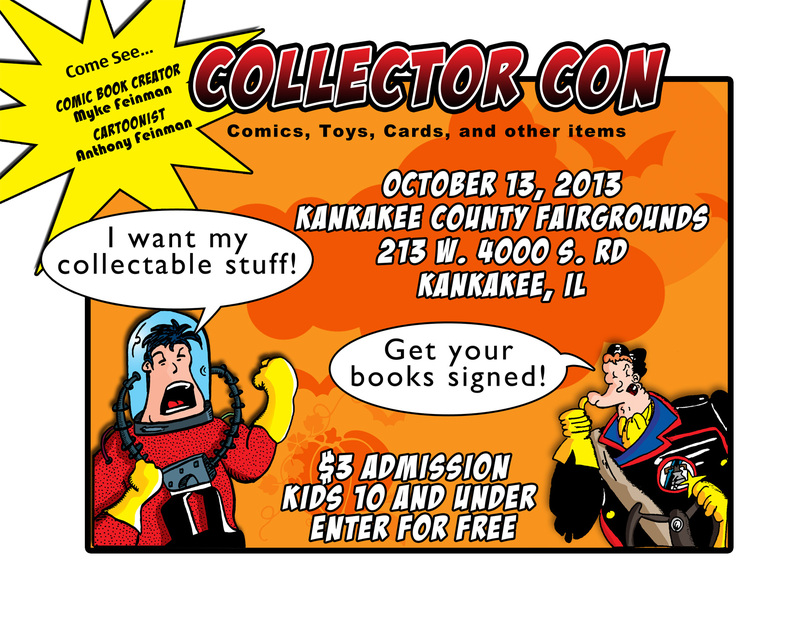 For the meantime, come by and visit us at Kankakee County Fairgrounds this upcoming Sunday on October 13, 2013. The whole Ink and Feathers gang will be onsite from CEO Cathy Feinman, President and comic creator Myke Feinman, and Graphic Designer Anthony Feinman. All books are still available (some in extremely limited quantities) plus Anthony will have artist cards for sale for $1! Great chance to get some books signed by REAL artists/creators PLUS some original art for an EXTREMELY cheap price. Toys, various comic vendors, and other collectables will be available for the discriminating collector. Reviews. Are they a good thing? Depending on what kind of writer/artist you are, you do it for a reason, right? Whether you want to inform the public on some subject matter or you practice your craft as a outlet, you ultimately make the decision on whether it’s meant to be seen. So if you publish your work anywhere, online or in print, you are hoping for someone to respond. The viewer makes the decision as to whether they wish to look or not. Are we ready for the truth? Of course, before anyone can review anything, it first must be seen. Reviews can make or break any medium. Remember when the movie Borat hit theaters? The movie bombed so fast before it was even in the theaters one weekend due to reviews being posted on social media sites like Twitter and Facebook. We, the people, control what we like and dislike by telling the general public what we think. So how advantageous is it to leave a review without knowing what you are talking about? A recent friend to IF Comics just released a first non-fiction book through Amazon.com less than a month ago. This person choose a single day to run a free promo day in hopes of getting people interested in the subject matter as well as receive feedback. I am not privy to how many people downloaded on that particular day but I do know at least one person (maybe) downloaded the book by leaving a review. The review wasn’t about the book or its contents. They were responding to the book being free and that fact that when they learned about the free day, they went to Amazon to download only to find that the promo was over. For this particular reason, they left a feedback rating of “1”. They did this for nineteen different books all of different genres. What’s the point? Why even bother taking the time? And our graphic designer can’t even get a paying client to respond to his emails?! (See If you can’t communicate…) You have time to pull up almost twenty different websites, type your “review and post under you own name. What does this say about us as consumers? To us it says this individual is cheap, slightly a loser, and has too much time on their hands. Perhaps you should spend your time on doing something constructive like actually reading things that YOU WANT TO READ. It seems that this person forgot that they have a choice. This person choose to be an immature, irresponsible, whining nobody. Kudos though for leaving your ACTUAL name in the review. That took guts. What about the publishing companies that advertise for paid reviews? Is this logical or realistic? It’s deceitful and manipulative to think that people can not see beyond the reality. All one has to do is compare the book sample as well as what the reviewers are actually saying to be able to read between the lines. Did we not all take reading comprehension in Grammer school? Real reviews are important for everything. They let everyone know the truth about a product good or bad. It is our belief that everyone should log off of Twitter, Facebook, and Linkedin to stop whining about how so and so is a schmuck, and take 3-4 minutes out of your precious free time to comment on your true opinion about the clothes you just bought and its quality, the novel that you actually bought or whatever as you felt it was worth your hard earned dollars. This should also be true for the things that you were given for free. Write an honest review of what you thought. We think it’s only fair. Don’t you? Was it worth the time and effort for this to be made public? Do the right thing and let everyone know the truth. Is it good or bad? Stop whining, get out of your little isolated world, and join the human race by participating like a civilized person. Utilize the tools that have been set before you and speak your mind in a logical fashion. Or do you like broadcasting to the the entire world that your ignorant and cheap?